If you listen to jazz, you are familiar with the work of Thelonious Monk. Famous for his style in both music and wardrobe, the American pianist and composer is the second most recorded jazz artist after Duke Ellington. If you consider that Ellington composed more than 1,000 pieces of music and Monk wrote about 70, it says a lot about the enduring power of this composer’s works. At the age of five or six, he taught himself to read music by picking out melodies on his family’s piano and looking over his sister’s shoulder as she took lessons. By the age of 13, he was playing at a local bar with a trio. He also played at the Apollo Theater’s famous weekly amateur music contests, but he won so many times that he was eventually banned from the event. Monk’s first known recording was in 1944, when he worked as a member of Coleman Hawkin’s quartet. He didn’t record under his own name until 1947, when he performed as the leader of a sextet session for Blue Note. In1954, Monk became one of five jazz musicians to ever be on the cover of Time Magazine. The others are Louis Armstrong, Dave Brubeck, Duke Ellington and Wynton Marsalis. Monk is famous for his unique piano style. He sometimes flattened his fingers when he played the piano and used his elbows and forearms to get the sound he wanted. Monk never spoke to his audience and rarely granted interviews—he preferred to let his music speak for itself. During concerts and recording sessions, he would rise from his bench every so often and break out into dance to emphasize the rhythm he wanted from his band members. He was both good friends with, and a teacher to, American jazz pianist Bud Powell. Monk’s composition “Brilliant Corners” was so difficult to play that the final recorded version took over 25 takes to achieve, and then only by splicing together two versions was it completed. While many recognize his full name as Thelonious Sphere Monk, his given middle name on his birth certificate was Junior. Monk was victimized repeatedly by the police, resulting in the loss of his cabaret card and thus his ability to perform in nightclubs in New York. This happened on three occasions in 1948 after an arrest for marijuana possession, in 1951 after a narcotics arrest with Bud Powell and in 1958 after an altercation with Delaware state troopers. 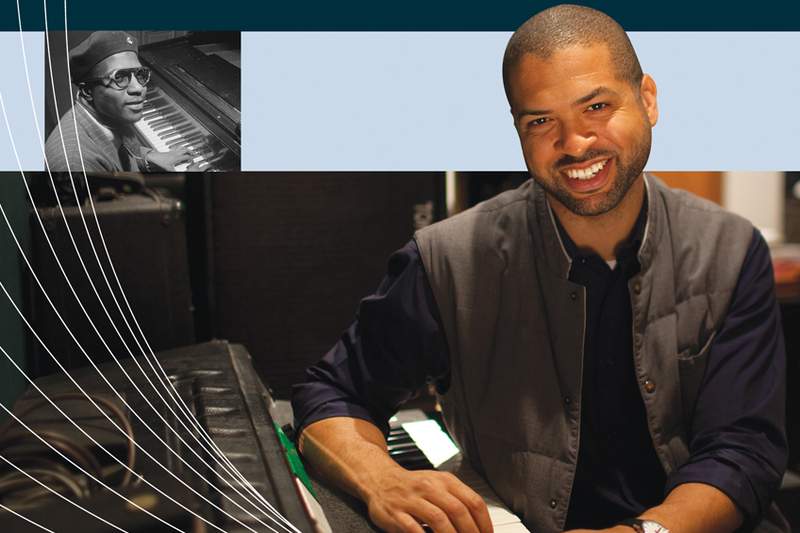 Jason Moran salutes Thelonious Monk on October 7 with In My Mind: Monk at Town Hall, 1959.